Made from soft rubberised material to grip most popular sized top kits (5mm-7mm) without causing dam-age. The perforated design serves several purposes, the main advantage is to counteract the vacuum effect which can prevent bait from releasing in a conventional pot, and it also reduces weight and wind re-sistance. 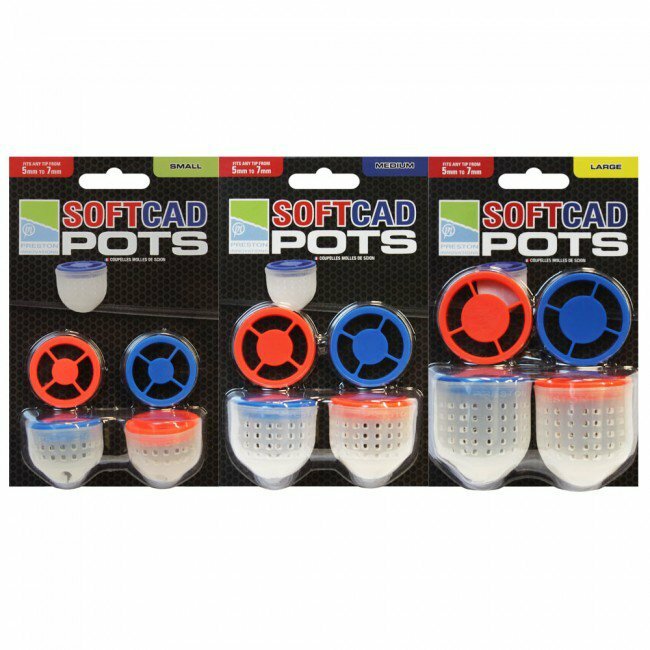 Supplied with four lids in two different colours, the orange version is easily visible to make sure the pot is fully turned before you empty it.